110% Racing Shock Pod « Big Squid RC – RC Car and Truck News, Reviews, Videos, and More! 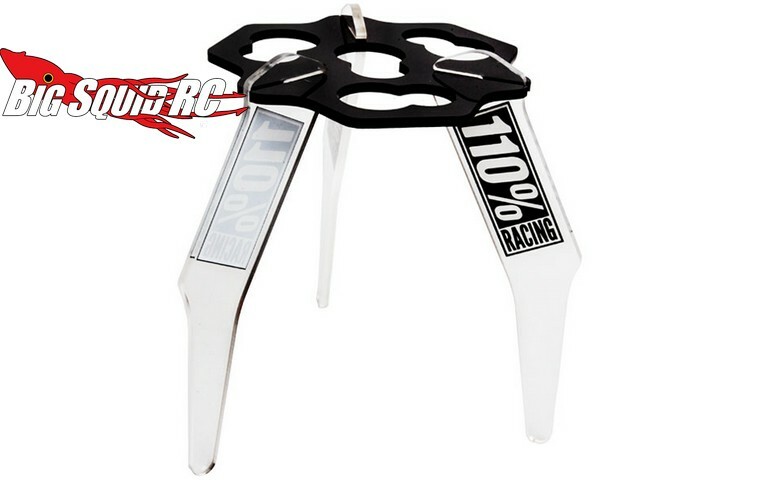 Make all those summer shock rebuilds easier with the new Shock Pod from Ty Tessmann’s 110% Racing. The shock pod has a trick look and is made from a high quality acrylic. Designed to fit both 1/8th and 1/10th scale off-road shocks, it is also easy to break down, saving space in your pit bag. The shock pod is priced at $16, it has a part number of #T00010, and full details can be found at This Link. Learn about more new shock products Right Here on BigSquidRC.